We repair and service Motech inverters! If you’re in need of Motech inverter repairs, or it’s time to get it serviced, you only need to make one call. Service My Solar is your one-stop shop for Motech inverter repairs and service. We guarantee honest advice and quality workmanship so that you can get back to enjoying solar power sooner. Can’t find your inverter here? Get in touch with our friendly service team and we’ll let you know how we can help. 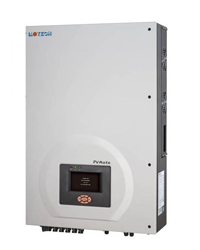 Motech inverters are a complicated piece of equipment so it’s essential that they are repaired by Clean Energy Council Accredited Electricians. At Service My Solar, we use a thorough Motech inverter service procedure to ensure your inverter is repaired quickly, correctly and in the most cost-effective way. In most cases, after our specially-trained technicians visit your property and inspect your inverter, they will source replacement parts from the manufacturer, repair the faulty parts themselves or recommend a new inverter should that be a more cost effective solution. In any situation, we’ll put your inverter through a number of performance and safety tests before it’s signed off and returned to duty in your home. While strict safety and labour standards keep the quality of our repairs high, Service My Solar’s national coverage and strong manufacturer relationships keep prices down. Service My Solar is Australia’s leading consolidated solar energy company, delivering high-quality and affordable solar energy solutions across the country. With a strong and comprehensive network of offices, Service My Solar’s service team is dedicated to helping Aussies enjoy solar power for the life of their system. Call 1300 496 278 to talk to one of our friendly technicians about Motech inverter repairs. Alternatively, you can request a service online, by filling out the enquiry form below.